Free and Sovereign State of Guanajuato (english). Estado Libre y Soberano de Guanajuato (spanish). Guanajuato is located in North-Central Mexico. It covers an area of more than 30,500 km² (almost 12,000 sq mi). It has an average altitude of 2,015 meters (6,611 ft) above sea level. Mountain ranges average 2,305 meters and flat areas lie at around 1,725 meters above mean sea level. Semi-arid temperate regions are found in the municipalities of San Felipe, San Diego de la Unión, San Luis de la Paz, part of Dolores Hidalgo and San José de Iturbide, where precipitation varies between 400 and 500 mm and the average temperature is between 16 and 18 °C. Semi-arid semi hot climates can be found north of Dolores Hidalgo, around León and in areas near Celaya. In these municipalities, rainfall averages between 600 and 700 mm and the average annual temperature is between 18 and 20 °C. Temperate climates are judged by the presence of holm oak and pine forest, pine forests and/or pine forests with meadows. Humidity varies in these forest regions. Temperate semi-moist areas are mostly found in the southeast municipalities of Apaseo, Coroneo and Jerécuaro and in the center of the state. Precipitation varies from 600 to 700 mm and the average temperature is between 16 and 18 °C. Temperate and somewhat humid climates have rainfall averages of between 700 and 800 mm, with temperatures between 16 and 18 °C. These can be found in Pénjamo, Coroneo, Jerécuaro and parts of Guanajuato (municipality) and Dolores Hidalgo. Temperate climates with the most humidity are found in the Santa Rosa and municipality of Guanajuato. These have rainfall averages of over 800 mm and average temperatures of under 16 °C. Hot and moist climates in the state have temperatures ranging from 18 to 22 °C and are associated with tropical rainforest, with some grassland. These climates are subdivided into two types, one that receives less rainfall with a significant dry season and the other which is wetter. The drier type is found in Abasolo, Irapuato, Salamanca and Romita. In total, these hot and relatively moist climates can be found in about 40% of the state. The state is divided into five geographic regions. The Altos de Guanajuato, located in the north of the state, are a chain of forested mountains interspersed with pastures, small fields and areas with cacti and other desert plants. They begin near the border with San Luis Potosí, and extend south to Dolores Hidalgo and then to San Miguel de Allende, then to the Querétaro border. The altitude of this area varies from 1,800 to peaks over 2,900 meters such as the La Giganta and La Sierra del Cubo mountains. Wildlife is found mostly in the most rugged and inaccessible areas and includes deer, coyotes, eagles and rattlesnakes. The climate is mostly semiarid with a rainy season in the summer, with average temperatures between 15 and 20 °C. However, lows in the winter frequently reach 0 °C or lower with frosts. La Sierra Gorda is shared between Guanajuato and Querétaro and is considered to be an important biosphere. This area is the most rugged in the state where most of the natural areas and small villages are remain intact due to their inaccessibility. The Sierra Gorda is part of the Sierra Madre Occidental, with extreme variations in its geography and climate. The rugged terrain means that there are a wide number and variety of micro-climates, although average temperatures vary only between 16 and 19 °C. It lowest point is a canyon called Paso de Hormigas in Xichú at 650 meters above sea level with a very warm climate suitable for tropical fruit. The highest point is Pinal de Zamorano at 3,300 meters, followed by El Picacho de Pueblo Nuevo, El Zorillo and El Cuervo all above 2,700 meters. The largest changes are seen in arid versus wetter zones, which can often be relatively nearby, with foliage changing from rainforest to pine forest to desert landscapes. In 1997, the Sierra Gorda region in Querétaro was declared a Biosphere Reserve by the federal government, with the Guanajuato portion added in 2007. On the Guanajuato side, it covers 236,882 hectares over the municipalities of Xichú, San Luis de la Paz, Atarjea, Victoria and Santa Catarina. 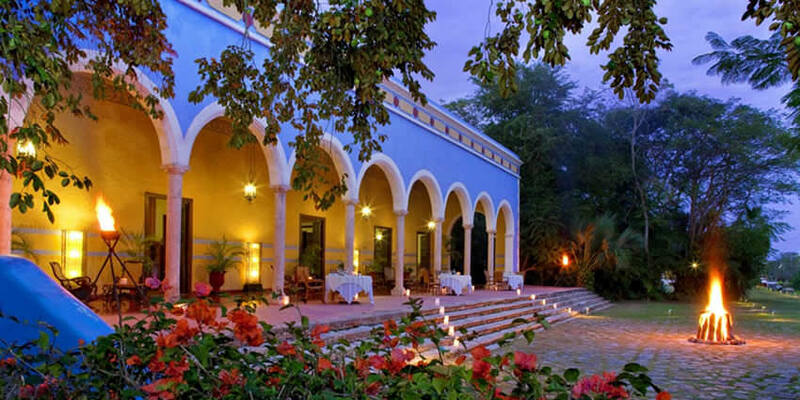 Culturally, the Sierra Gorda region is the far western part of La Huasteca, which extends over parts of the states of Querétaro, San Luis Potosí, Hidalgo and Veracruz. The Sierra Central is a series of low, gentle mountains in the center of the state which are part of the Sierra Madre Occidental. Wild vegetation runs from tropical rainforest to arid grasslands with cactus, with cypress trees along rivers and other surface water. 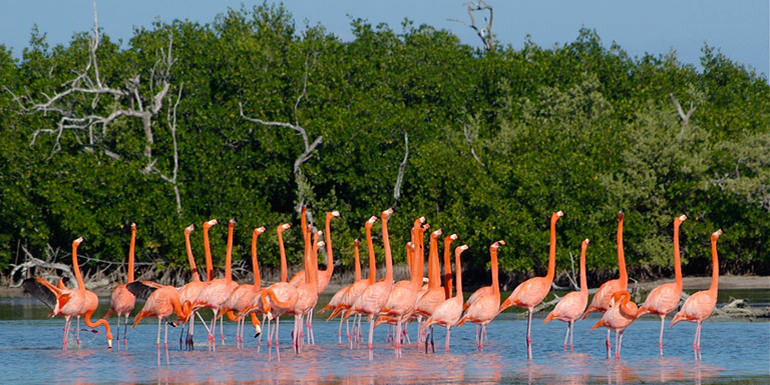 Wildlife includes raccoons, quail, rabbits, skunks and migratory birds. The land is productive, especially for fruit orchards producing guavas, tejocote, apples, limes, quince and more. Desert fruits such as cactus pears (tuna), garambullos and xoconostle are also produced commercially. Bajío is the best-known geographical region of the state, which is a relatively low, relatively flat area of between 1,700 and 1,800 meters, that surrounds the Lerma River and its tributaries. This low area is the source of its name, coming from the Spanish word “bajo” or low. The Bajío is filled with rolling hills and interrupted by the occasional chain of low mountains such as the Gavia and the Culiacán. Before the arrival of the Spanish, this area was covered in dense forests of holm oak and mesquite trees; however, mining’s need for wood fuel eventually cleared those forests. Today, the area is the center of most of the state’s agriculture and industry since the terrain allows for the building of highways and large farms, which produce grains, vegetables and fruit. This farmland is considered some of the most productive in Mexico. Los Valles del Sur, also called the Valles Abajeños, are valleys located in the southwest part of the state, bordering the state of Michoacán. This area is distinguished by the large number of Purépecha place names. The area is part of the Trans-Mexican Volcanic Belt with elevations ranging between 1,700 and 2,000 meters. 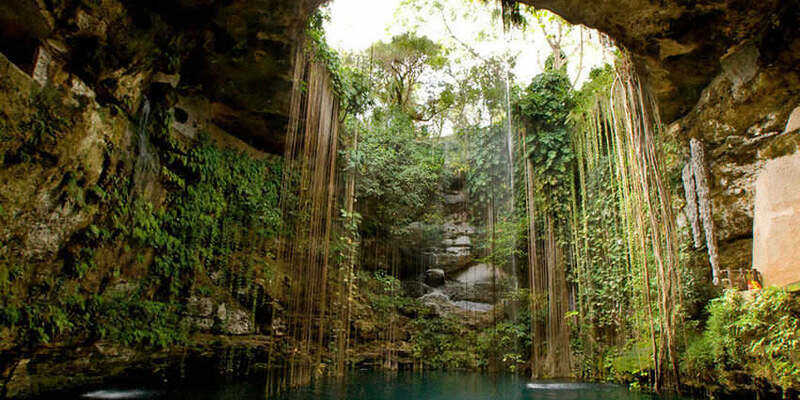 There are several small lakes, the best known being the Yuriria Lake as well as canyons and cave systems, some of which were used for ceremonial purposes by pre-Hispanic peoples. It is also the home the Siete Luminarias de Valle de Santiago, a set of seven inactive volcanic craters located in the northwest and southwest of the Santiago Valley. The volcano cones rise abruptly out of the ground with craters that measure up to one kilometer across. The state is divided into 46 municipalities and its capital city is Guanajuato. The largest city in the state is León. As of 2005, the state had a population of almost 4,900,000 which is the sixth largest population in Mexico. About 67% live in urban areas. The largest population centers are León with 1,134,842 people, Irapuato with 440,134, Celaya with 382,958 and Salamanca with 226,654. Guanajuato has the fourth lowest number of people who can speak an indigenous language. However, the ethnically indigenous population is about 10,347 (2005). The languages spoken are Chichimeca Jonaz, Otomi and Nahuatl. The two most important indigenous groups are the Chichimeca Jonaz and the Otomi. Culturally, both groups show significant Purépecha influence. The Chichimeca Jonaz refer to themselves and other indigenous as “uza” (singular) or “ézar” (plural), which roughly translates to “Indian.” Their language is Oto-Pamean and related to their neighbors, the Otomi. Most Chichimecas are found in the municipality of San Luis de la Paz, in the community of Rancho Uza or Mision Chichimeca. The Chichimeca Jonaz have a mixed Catholic-indigenous belief system. While outwardly Catholic, many rituals still follow the cycles found in nature, such as planting and harvesting and lunar cycles. The most important “spirit guides” are the eagle and water, with the Virgin of Guadalupe playing an important role as Universal Mother. One important saint is Isidore the Laborer, who is connected to the bringing of rain. The Otomis of the state are concentrated in the community of Cieneguilla in the municipality of Tierra Blanca. The Otomi also speak an Oto-Pamean language and are related to other Otomi groups scattered around the central and southern areas of Mexico. Today, however, most children are not learning the language from their parents, putting it in danger of extinction in spite of efforts to introduce bilingual education. The name “Guanajuato” derives from “kuanasï” = “rana uata” = “hill” being correctly written in Purépecha as Kuanasïuatu, which means “mountainous place of frogs”. In the pre-Hispanic era, the Bajio saw the most human development due to the fertility of the soil and the presence of surface water for agriculture. The oldest group to inhabit the area were the people now known as the Chupícuarios, who dominated the center of the Bajío area and were active between 800 BCE and 300 CE. Their largest city is now the site called Chupícuaro, and their influence was widespread being found in the modern states of Zacatecas, Querétaro, Colima, Nayarit, Hidalgo, State of Mexico, Michoacán and Guerrero. Chupícuaro cities were associated with the Toltec city of Tula and when this city fell, these agricultural cities of Guanajuato also went into decline. This and a prolonged drought cause these cities to be abandoned between the 10th and 11th centuries with only the Guamares left ethnically. Then Chichimeca and other nomadic groups entered the area. These nomadic indigenous groups are generically referred to as Chichimeca, but in reality they were a variety of ethnicities such as the Guachichiles, Pames and Zacatecos. These groups were warlike, semi nomadic and did not practice significant agriculture, nor did they construct cities. Part of the state was also inhabited by the Otomi but they were mostly displaced or dominated by the Purépecha in the southwest and the Chichimeca in other parts. By the 16th century, most of Mesoamerica was dominated by either the Aztec Empire or Purépecha Empire, but Guanajuato was under the control of neither. It was on the northern border of the Purépecha Empire with southern Guanajuato showing significant cultural influence in the southern valleys, and Aztecs had ventured into the area looking for minerals. However, most of the state was dominated by various Chichimeca tribes as part of what the Spanish would call the “Gran Chichimeca.” These Chichimeca were mostly nomadic with some scattered agricultural communities, mostly in the north. As Guanajuato marks the beginning of the arid north of Mexico, at first relatively few Spanish came to settle as opposed to points south, where rainfall and indigenous labor was in much greater supply. The first Spanish expedition to arrive to the Guanajuato area was led by Cristóbal de Olid in 1522 which arrived to the Yuririhapúndaro and Pénjamo areas. The discovery of silver and gold in the area of the city of Guanajuato spurred Spanish settlement of the area in the 1520s and 1530s. When the Spanish did arrive, native tribes retreated to the most inaccessible areas of the Bajío and mountains ranges in the state, resisting the invaders, attacking settlements and travelers along the routes that connected Spanish settlements and mining camps. Unlike the more settled indigenous peoples, the Spanish were unable to force the natives of this area to work and brought African slaves and indigenous peoples from other areas to work the haciendas and mines. The colonization efforts in the eastern part of the state began in 1542 when Spanish land grants were issued for the Apaseo and Chamácuaro areas. In 1555, San Miguel el Grande was founded to protect roads linking mining camps and cities with Mexico City. The Villa de León was founded in 1576 to counterattacks by the indigenous peoples. But through the first centuries of the colonial period, the city of Guanajuato dominated because of its mines. In 1590, the Villa de San Luis de la Paz was founded named after the peace (paz) treaty between the Spanish and the Chichimeca. With the Spanish occupying most of the most productive land and its resources, the indigenous of the area became extremely impoverished. This eventually allowed the Spanish to negotiate peace with chiefs in exchange for basic goods such as blankets, clothes and food. This would bring temporary truces. For the long term, evangelization efforts would bring longer term submission. Franciscans and Augustinians worked to gradually modify the worldview of the Chichimecas and others until many moved out of the mountains and into settlements and profess, at least nominally, the Catholic faith. However, the indigenous remained extremely marginalized and poor, losing both language and culture until most eventually intermarried with outsiders to produce mestizos. Through the colonial period, most of the area’s wealth came from mining, with much of the agriculture springing up to support the mining communities. 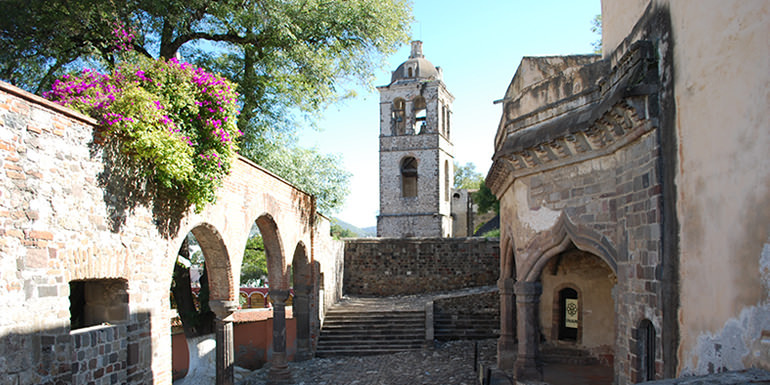 The height of mining came in the 18th century, mostly from the mines in the hills around the city of Guanajuato, leading to the construction of a large number of notable civil and religious buildings in the same area. The Bajío area was extremely fertile and became a major agricultural area for New Spain. Both of these activities brought in more Spanish and Criollos to take advantage, as well as mestizos and some African slaves to work the mines and fields, making the area’s population grow rapidly and eventually concentrate in urban centers. The area was made an “indentencia” or province in 1786, when New Spain was divided into twelve parts. Numerous plans were made, but few were carried out or had impact until 1809. In that year, a group consisting of Miguel Hidalgo y Costilla, Ignacio Allende, Juan Aldama, Miguel Domínguez and more, began to plan an armed revolt against the colonial government. In 1810, the plot was discovered and Hidalgo decided to put their plans into action in September instead of the planned date in December. On 15 September, Miguel Hidalgo y Costilla declared the Grito de Dolores in the town of Dolores (Hidalgo). Hidalgo, accompanies by Ignacio Allende, left Dolores with about 800 men, half of whom were on horseback. Just through sheer numbers, Hidalgo’s army had some early victories, going through the economically important and densely populated province of Guanajuato. The extent and the intensity of the movement took viceregal authorities by surprise. San Miguel and Celaya were captured with little resistance. On 21 September 1810, Hidalgo was proclaimed general and supreme commander after arriving to Celaya. At this point, Hidalgo’s army numbered about 50,000. However, because of the lack of military discipline, the insurgents soon fell into robbing, looting and ransacking the towns they were capturing. On 28 September 1810, Hidalgo arrived to the city of Guanajuato. The town’s Spanish and Criollo populations took refuge in the heavily fortified Alhóndiga de Granaditas granary defended by Quartermaster Riaños. The insurgents overwhelmed the defenses in two days and killed an estimated 400 – 600 men, women and children. Fighting associated with the War of Independence would return near the end of the conflict. Military commanders Luis de Cortázar and Anastasio Bustamante joined forces with Agustín de Iturbide and took the city of Guanajuato on 8 July 1821, declaring the entire state independent of Spanish rule. 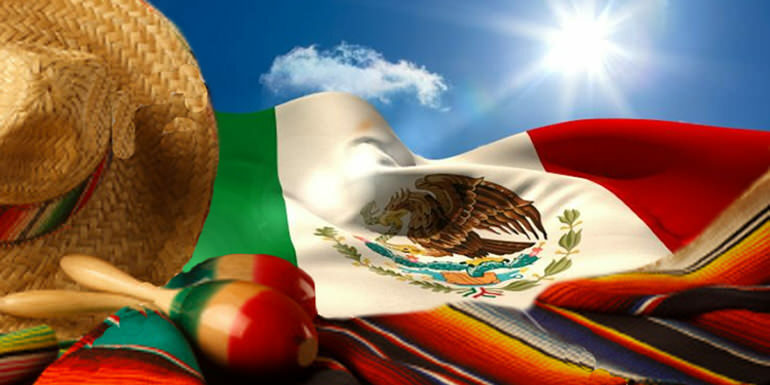 In 1824, Guanajuato was officially proclaimed a state of Mexico by the Constitutional Congress of Mexico. The years after the end of the War of Independence were extremely unstable, and would continue to be unstable through most of the rest of the 19th century. 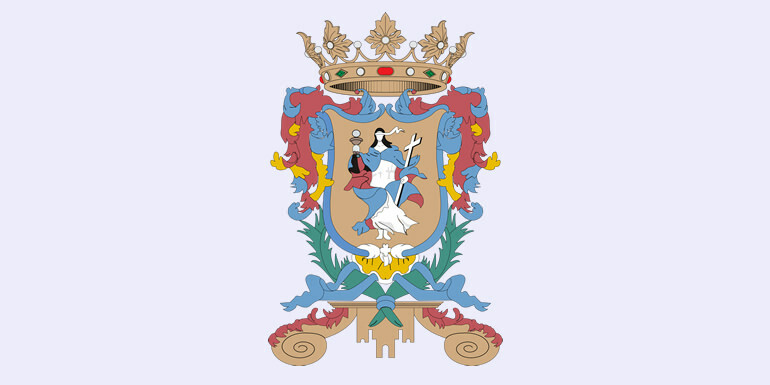 Dolores and San Miguel adopted the names of Dolores Hidalgo and San Miguel de Allende in honor of those who began the independence movement and in 1826, the first constitution of the state of Guanajuato was adopted. Like much of the rest of the country, Guanajuato was affected by the prolonged fighting between Liberal and Conservative factions as well as the foreign incursions that dominated the 19th century. Guanajuato’s status vacillated between state (when Liberals were in charge) and department (when Conservatives held the upper hand). Under Liberal ideals, educational institutions such as the Colegio de la Santisima Trinidad and the Colegio de la Purisima Concepción were secularized and under control of the State. In 1847, General Gabriel Valencia raised an army of 6,000 men to fight the U.S. invasion of Mexico. In 1848, in opposition to the Treaty of Guadalupe Hidalgo, General Marian Paredes, General Manuel Doblado and priest Celedonio Dómeco de Jarauta revolted, taking the state capital, but they were defeated and Domeco was executed by firing squad. In 1855, Conservative Manuel Doblado, then the governor of Guanajuato, forced Juan Álvarez out of the presidency after he took power from Antonio López de Santa Anna. In 1858, the government under President Benito Juárez moved from Mexico City to the city of Guanajuato before moving again to Manzanillo and then Veracruz during the Reform War. During this three-year period, the state would vacillate various times between the Liberals and Conservatives. In 1863, it was taken over by the French as they installed Maximilian I as emperor of Mexico. Maximillian did not reign long but the governor he appointed for Guanajuato, Florencio Antillón remained in Guanajuato until 1877. The situation stabilized over much of the government of Porfirio Díaz at the end of the 19th century and the economy improved, but the Diaz government was oppressive. Diaz installed Francisco Mena as governor of the state, who made a fortune through the concession of railway lines which were being built to modernize the country. Even though slavery was officially abolished during the War of Independence, most laborers in farms and mines were extremely underpaid and in a number of cases not paid at all. Agricultural production reached a peak at the end of the 19th century, earning the state the nickname of the “granary of the Republic.” Industrialization took hold in cities such as León, Salvatierra, Celaya and San Francisco del Rincón, making shoes, textiles and hats. One battle of the Mexican Revolution occurred in Celaya in 1915 between the troops of Álvaro Obregón and Francisco Villa. Many from the state fought and died in other parts of Mexico, leaving behind widows and children. After the war, the large landholdings were broken up and land redistributed into ejidos, or commonly held land, which benefitted many rural families. After the end of the Mexican Revolution, fighting in Mexico continues with the Cristero War. Fighting related to this was most prominent in Pénjamo and León, but occurred in other areas as well. In 1946, an uprising against the government by a group called the Sinarquistas occurred in Leon. However, most of the state was peaceful most of the time, allowing the economy to recover. This was especially true of the agricultural sector, producing wheat, corn, sorghum, alfalfa, strawberries in Irapuato and goats in various parts. Goat milk cajeta candy from Celaya is known in most of Mexico. The first Festival Internacional Cervantino occurred in 1972. In the 1980s, two of the state’s cities, Guanajuato and San Miguel de Allende were declared World Heritage Sites. Today, the Bajio is one of the major grain producing regions in Mexico. The Guanajuato congress has asked for help against the theft of religious art in the state, which has the third highest incidence of such. One of the major occurrences was the theft of the gold crown of the Black Christ of Salamanca in 2010. The celebration of Mexico’s Bicentennial was particularly important to the state as initial events of the War in Independence occurred here. The state set up a Bicentennial Route to encourage visitors to the cities associated with Miguel Hidalgo’s first campaigns. The state held a marathon from San Miguel Allende to Dolores Hidalgo for the Bicentennial with Omar Luna winning with a time of 2h23m14s. The state sponsored the Expo Bicentenario 2010 from 17 July to 20 November just outside the capital city. The site was marked by a giant Mexican flag flying alongside older historic flags, including a replica of the standard with an image of the Virgin of Guadalupe that Miguel Hidalgo carried as the insurgent banner. The Expo was housed in a series of pavilions which demonstrated the Mexican culture, history, traditions and customs. There were also pavilions hosted by various Latin American countries who also celebrated their Bicentennials around the same time. The Independence Route comprises ten municipalities through which the insurgent army under Miguel Hidalgo passed. These include San Miguel de Allende, Dolores Hidalgo, Guanajuato, León, Irapuato, Pénjamo, Salamanca, Celaya, Salvatierra and Acámbaro. In preparation for the Bicentennial of Mexico’s independence, the state rehabilitated and marked the sites in which the significant historic events occurred in each of these locations. The Aventure Route connects ghost towns and abandoned mines with natural areas for hiking, mountain biking and ATV as well as other extreme sports such as paragliding. One of the ghost towns is Mineral de Pozos in the northeast of the state. The town still has its cobblestone streets with names such as Relámpago (lightning), Estrellas (stars) and Flores (Flowers). The houses here are abandoned, many in ruins and none with roofs. The town reached it height during the late 19th and early 20th centuries, when it was called Ciudad Porfirio Díaz, but the mines later gave out and the population left. In 1982, the town was declared a Historic Monument Zone. Although no one lives there, tourism keeps a few businesses alive around the main square such as the Pozos cantina, which exhibits photographs and other memorabilia on its walls. Outside the town is the Santa Brigida mine which sustained the town until it gave out. 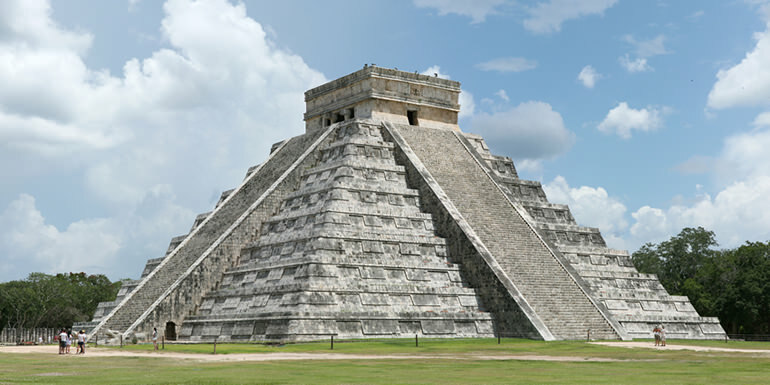 It is marked by three large ovens with tall pyramid roofs. These were constructed by the Jesuits to work ore from the mine. The Archeological Route links the two pre-Hispanic sites of Plazuelas and Peralta which are currently open to visitors with two others which are scheduled to be opened sometime in the future: La Virgen de la Cañada in San Miguel de Allende and El Cóporo in Ocampo. The Monastery Route is concentrated in the south of the state, where a number of large religious complexes were built in the early colonial period for evangelization purposes. The Agustino de San Pablo Church and Monastery is located in Yuriria founded by the Augustinians who arrived from Michoacán in the 16th century. It is a monumental fortress-like construction designed by Friar Diego de Chávez y Alvarado and Pedro del Toro and constructed in an area with relatively little population. The monastery became a center from which missionaries would be trained and then sent forth and its size and battlements helped to protect it from Chichimeca attacks. The church retains its original function and Plateresque facade, but the monastery area has been converted into a museum. The Las Capucinas Church and Convent is in Salvatierra and is one of only three complexes built for nuns in the entire state during the colonial period. It has a fortress like appearance and its construction is attributed to Joaquin de Heredia, of the San Carlos Academy. During the Porfirio Díaz presidency, the convent was used as a Civil Hospital and later as a school, which still remains with the name of Colegio José María Morelos. The San Francisco Church and Monastery is in Acámbaro and built between 1734 and 1743. Its facade is Baroque of light pink stone. Inside, the church contains one of the most notable main altars in the Bajio region. It is Neoclassical built of gray and pink stone with gilded details, with an image of the Virgen María Refugio de Pecadores (Virgin Mary Refuge of Sinners), which is replica of an image in Zacatecas. The Handcrafts Route connects a number of municipalities which specialize in one or more handcrafted items, including food. These include Acámbaro, noted for its bread, Coroneo for its wool items and Tarancuaro for ceramics. 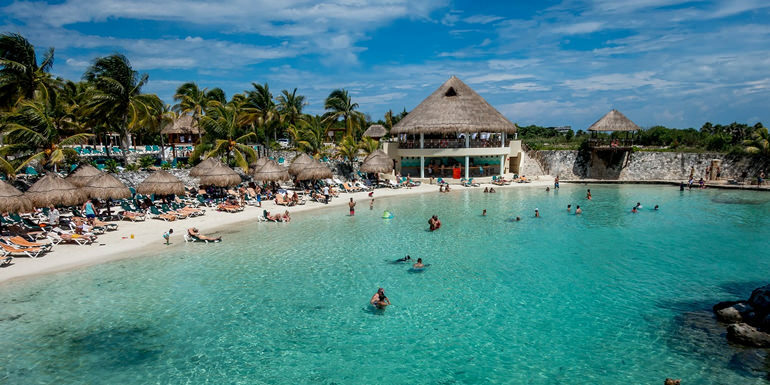 The state also has a large number of water parks and thermal springs converted into water parks. Many of the dishes that are traditionally eaten in Guanajuato are regional variations of dishes known in other parts such as carnitas, tamales, birria and pozole. A version of the enchilada is called the enchilada minero (miners’ enchilada), which is a tortilla fried in lard and then filled with chicken and covered with a sauce made with guajillo chili peppers, a cheese called ranchero and chopped potatoes and carrots. Recently, there has been a movement to update many of these dishes, keeping to traditional ingredients, called “Guanajuato fusion”. This is most popular in upscale restaurants in San Miguel de Allende and Guanajuato and can include dishes such as tuna with chili peppers and duck with mesquite honey. The state is better known as the producer of a number of food products such as cajeta, bread, candy, and ice cream. The best-known food product is cajeta, a soft, spreadable sweet product made with goat’s milk, sugar, and flavorings. The best known place for this is Celaya. The cajeta can be flavored with vanilla, coconut, strawberry, and others; it is eaten with a spoon from the container, spread on bread, or made into candies. The best known outlet for cajeta in the city is Cajetas La Tradicional, which has been in business for over 70 years. Another typical sweet in the state is called charamuscas. It is made with piloncillo, which is melted to form shapes. In the city of Guanajuato, one can find charamuscas in the shape of mummies. Alfeñique refers to glass sugar based candies used to form figures and is most popular for Day of the Dead. Chilacayote is a candy made from a type of melon of the same name, which is prepared by soaking pieces of the fruit in sugar solution. Handmade ice cream is a specialty of Dolores Hidalgo, made with all natural ingredients, often using recipes passed down for generations. While ice cream and ices are made in other parts of the state, these stand out because of the many unusual flavors offered such as beer, pulque, chile relleno, even shrimp and mole. The Franciscans taught the indigenous how to work with wheat and bake bread. Because there had already been a tradition of kneading clay for pottery, the kneading and baking of wheat bread became established quickly, adapting the original recipes to local tastes. The best known breads are those from Acámbaro, especially the type called “pan grande”. Other well-known types are pan ranchero, tallado, pan huevo and pan leche. The first indigenous master baker in Guanajuato was Abraham de Silva Cuín, who, in 1526, began to make breads in unique forms and flavors. Culturally, the state is best known for the annual Festival Internacional Cervantino, which takes place in the city of Guanajuato and some other affiliated venues in the state. The event sponsors a large number of artistic and cultural events with artists invited from Mexico and other parts of the world. The festival hosts events such as opera, theater productions, film showings, art exhibitions, academic conferences and talks, concerts and dance recitals. The performances occur in 70 different venues over most of the month of October. In addition to the major events in venues, artists such as dancers, clowns and more, give small and sometimes impromptu shows on the streets, sidewalks and small plazas that are located in the city. During the event, hotel occupancy rates are as high as 98% because of many visitors to the city. The event is named in honor of Miguel de Cervantes, author of Don Quixote. The festival began in 1972, as short plays performed by University of Guanajuato students based on the works of Cervantes. A parallel event is the Festival International Cervantino Callejero which is sponsored by an organization called the Centro Libre de Experimentacion Teatral y Artistica. The Festival Internacional de Cine Expresión en Corto began in 1997 and today is one of the most important cinematographic events in the country. 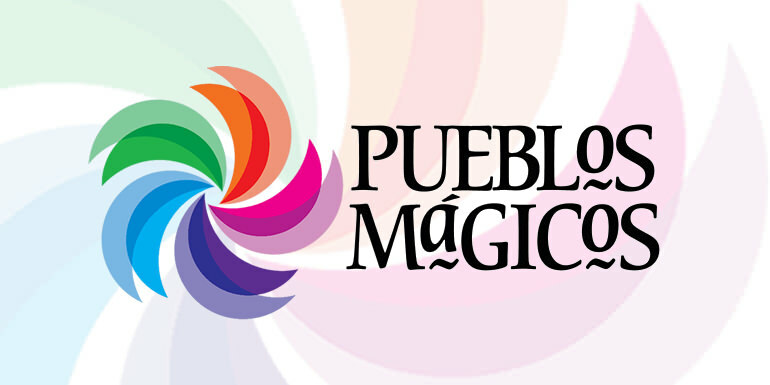 It was established in Guanajuato in an effort to decentralize cultural events away from Mexico City. 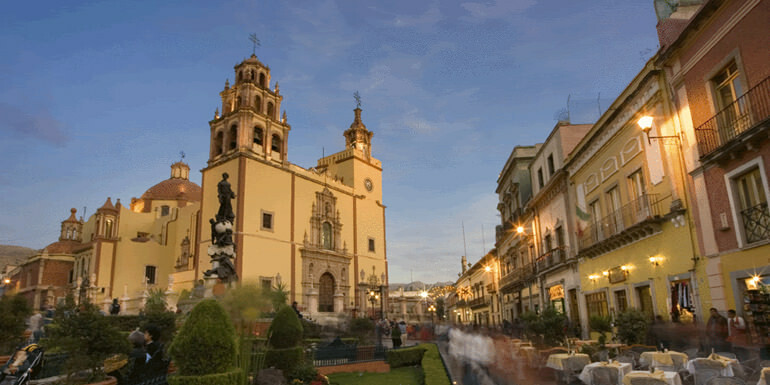 Most events associated with the festival take place in the city of Guanajuato and San Miguel Allende and awards prizes in various categories including commercials. The showing of films is sometimes in unusual locations such as one of Guanajuato’s tunnels under the city or in the municipal cemetery at midnight.